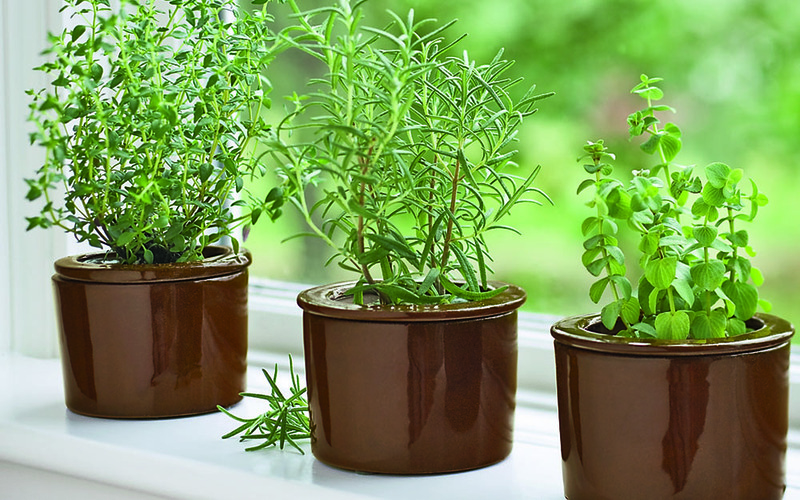 As winter arrives, hang on to a bit of summer by creating your own indoor herb garden. 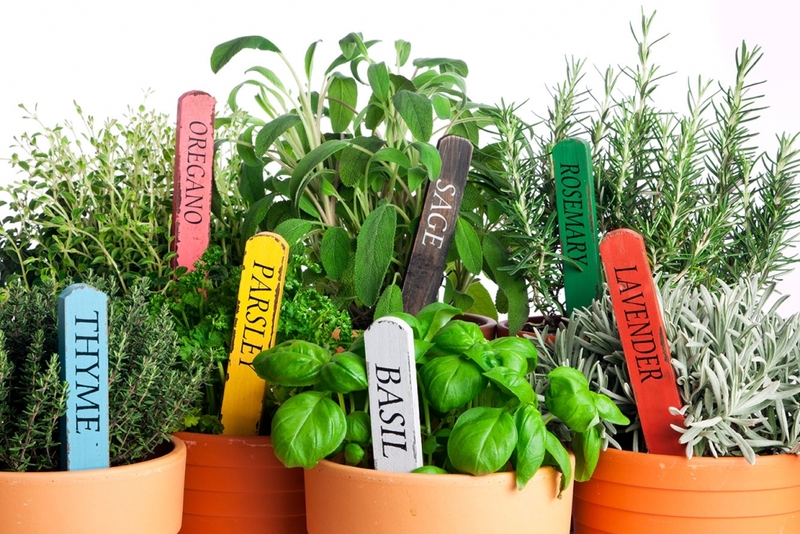 Follow these herb growing tips to keep your favourite dishes full of flavour all season long! Begin by choosing what you’d like to grow. Herbs like Oregano, Thyme and Rosemary are easiest to grow from small plants. 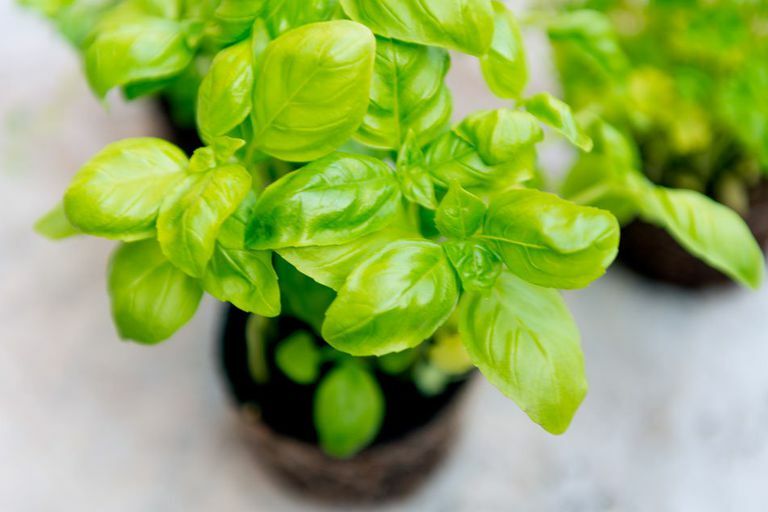 Herbs such as Basil and Cilantro, are best grown from seeds. Take into consideration which herbs you cook with the most, and don’t be afraid to try something new. If you’re buying herbs as plants, it’s important to make sure there are no insects hiding in them before you bring them home. These insects can interfere with growth and inhibit your plants’ ability to really take root, while also making their way into your home. Once you’ve chosen your plants, it’s important to begin with the proper growing equipment. Consider getting a pot with holes at the bottom to allow water to drain out of the soil, but be sure to have a catch plate as you don’t want to have water drain out and ruin your furniture. Another item to consider purchasing is a herb light. This will allow you to keep your herbs full of sunlight on the darker days of winter. Location is the key to ensuring your herbs thrive. Since most herbs require at least six hours of sunlight a day, if you do not have a light, a spot by the window is best. Keep in mind not all herbs will thrive by a window. 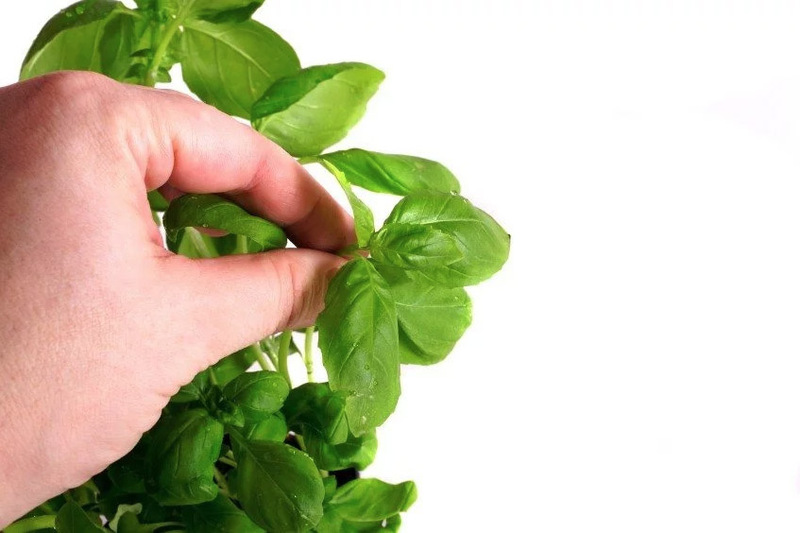 For example, basil plants will wilt if exposed to the cold from a window sill. Research your herbs and their preferences so they can last all winter long. A spot by a window will give your plants plenty of sunlight, via Gardeners. 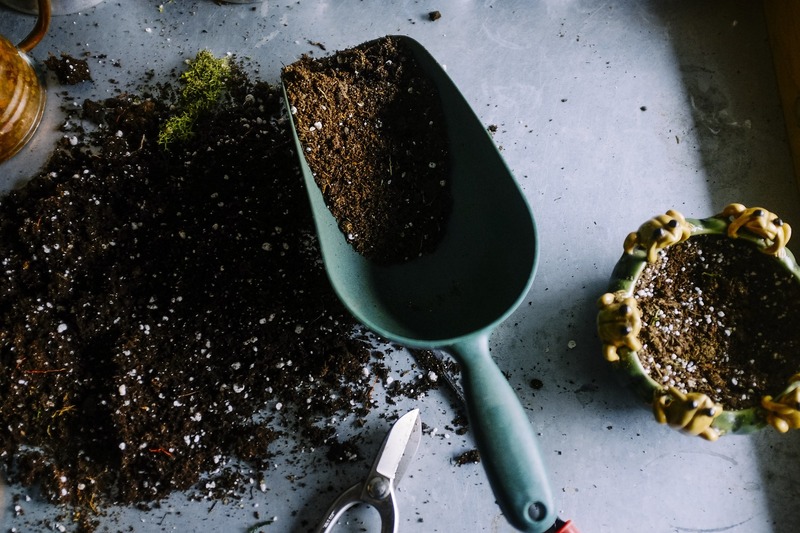 When choosing your soil, you’ll want to consider the origins of your herb. Some herbs do best in loose, fast-draining soil, while others in normal potting soil. When watering, be sure to keep your soil moist, but not soggy. Create a schedule for watering. Most herbs only require water about once a week. Be careful to not overwater. Too much water and your herb may become waterlogged or develop mildew. Your herbs will love a general all-purpose water-soluble fertilizer, however only feed them when they’re actively growing. Too much fertilizer may do more harm than good. Consider your plant’s origin when choosing your soil. The timing of your harvest depends on your herbs. Generally, herb leaves should be picked before the plant has a chance to flower. Once the plant flowers, the herbs will lose their flavour and become bitter. Harvest frequently to encourage your plant to continue growing. Avoid washing the leaves after picking, as this will affect their aromatic oils. Gardening Know How gives us tips for harvesting your herbs. Your herbs will have the most flavour if picked fresh, but preserving them for later in the season helps keep them lasting longer. To preserve your herbs, hang the branches of your plant in a dark, dust-free room. Let the plant sit for 2-3 weeks to fully dry out. Remove the leaves from the stem, and store in an air tight container. Start your herb garden today to have your kitchen be a “Spice of Life” all winter!